We're a good looking Solar crew - Check us out! Mark is the Owner and Manager of MC Solar & Electrical. He’s an Electrician, accredited solar installer/designer and an electrical contractor. Read his story. Mark is not only passionate about solar but about doing business right. It’s a simple ethic: look after your staff, and encourage them to look after your customers. It seems to work. Where Mark makes the decisions on who to hire, Wendy makes it official by setting up staff contracts, payroll and time-sheets. Wendy is always behind the scenes ensuring the paperwork is up to date and accounts are in order. We’re all thankful to Wendy for being the one who pays us each week. Ryan started at MC in 2015 and has an extensive background in domestic and commercial electrical work. He oversees the day-to-day operations of MC Electrical, from coordinating the teams to streamlining the business procedures and processes. He’s passionate about the industry and enjoys designing and managing our larger projects. Alex has been around since day one when it was Mark as the Electrician and Alex as the apprentice. Nearly 10 years on, Alex the Electrician knows solar inside out. He’s also a really nice guy (which has kind of turned into a prerequisite for working here). Rodney’s our youngest tradesman who originally began his apprenticeship at MC Electrical. Upon completion he moved on to explore the commercial side of the industry. He’s since come back, and we’ve found the experience and knowledge he gained highly beneficial to our own more complex installations. Michael is one of Queensland’s best blokes. That’s what his wife said when he won Mr. Ipswich in 2009! Seriously, he’s a top bloke and one of the best sparkies you’ll find. He first started working for us in 2011 – he had a break ( most likely modelling?) – but we’re better now ’cause he’s back. We heard about Stephen from Ryan, our Ops Manager. As former colleagues, Ryan knew the standard at which his work was done and after a couple of years sub-contracting and installing for AGL’s Solar division, we managed to lure him across. His quality workmanship and wealth of electrical knowledge has made him a great addition to our team. Matt met Mark several years ago, but at the time Matt was doing his apprenticeship with CV Services Group. In 2016 Matt called us up looking for a job. We didn’t have a position, but when you find a tradesman like Matt, you create a job for him. While working for us, he earned his solar install and design accreditation. Matt is now our Service Technician and Battery Specialist. David started with us back in 2009 as a laborer before we took him on as an apprentice. After completing his 4 year apprenticeship, he stayed on as a tradesman. He now leads one of our 6 teams. He’s a bloke of integrity and has a keen eye for quality. We’re proud to have David on our team. Josh came highly recommended from our chief sparky, Alex. He took to the job like a possum on a roof, so we signed him up as a mature age apprentice. He now has completed his Electrical apprenticeship. This bloke is tradesman material. Mitch is an electrician and accredited solar installer. He has been in the solar industry for years. He’s now in the office working with procurement and keeping the gears well oiled for the blokes as they load up and head out to their jobs each morning. Israel is an Electrical Contractor with years of experience in Solar. He wanted to get off the tools but stay in the industry, so began teaching the CEC Accreditation and renewable energy course at TAFE. As a part-time Solar Consultant for MC, you can be can be sure he knows his stuff. Nicole is our Solar Consultant extraordinaire. She has developed a reputation in the industry over the last 9 years as a knowledgeable, straight-talking consultant. In 2015, Nicole agreed that MC Electrical suited her way of doing things better. Nicole is so much happier now, selling the right product at the right price. Yorick used to work alongside Mark and Ryan to help in service and after sales support. As a veteran in the solar industry we have figured early on that Yorick is a keeper. In 2015 he asked to step out of the office so he could work directly with our customers. If there is something Yorick does not know, he will ask and learn. No BS. How could I refuse? Trent first worked for us in 2009 installing panels. He moved on and worked for other solar companies in both installations and solar sales for several years, before finally coming back to work as a consultant for MC Electrical in 2017. Trent’s experience in different areas (especially battery storage and off-grid) is proving invaluable. Ben previously worked in education and is a keen surfer. His passion for education has continued within the solar industry and we are very lucky to have him on board. Grant has worked a number of years in the solar industry. He also has a Graduate Diploma in Management. Grant started with us back in February and we are happy too have him as part of the team. An advocate for the environment, it wasn’t until Jaime read “The last hours of Ancient Sunlight” back in 2006 that she became passionate about renewable energy. She then completed a Certificate IV in Renewable Energy and worked in the solar hot-water industry, before commencing her career as a solar power consultant a few years later. Jaime recently moved back to Brisbane after being in SA for 10 years. We are certainly happy to have Jaime on board with her down-to-earth attitude and technical knowledge. Michele has over 10 years’ experience in a technical sales role. Personable and easy to talk to, Michele will be able to clearly explain solar and design. 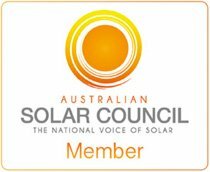 As a mate of Nicole’s, we are very happy that Michele approached us for a job after years of talking solar and hearing about MC’s awesome reputation! Previously a retail manager, Ben has excellent experience talking with customers to determine what you want or need without the sales spin. With a degree in Marine Biology, Ben is passionate about environmental issues and solar fits in well with his values. His technical science background enabled him to easily grasp the technical side of solar. Ben now manages our sales team and provides technical support and advice. Clodie is our dynamic Accounts Manager, whose attention to detail is impeccable. Clodie has worked in the solar and electrical industry for 8 years and brings a wealth of knowledge behind the scenes. She is well liked within the team and brightens each day with her positive can-do attitude. It took two months of looking for the right person before we happily found Mark. Mark has over 10 years customer service experience and a Graphic Design degree under his belt. He is technically minded with a high level attention to detail. We are very glad that Mark first came over to Australia in 2012 for a working holiday and now calls Brisbane home. Rhea has several years’ experience in the solar industry providing exceptional customer service and sales support. Her strong work ethic and determination to succeed makes her the perfect person to be part of our team. Frances has worked in New Zealand and London in the procurement industry before relocating and settling in Australia. After a lengthy search to find the right person, it was perfect timing when she saw our Facebook post and was just the person we were looking for! Settling in well into the MC team, Frances has quickly stepped into the customer service role with ease. Cristy has been in the solar industry since 2013. Ryan had previously worked with Cristy and knew she would fit right in. Cristy was previously managing offices between 20 – 30 people and has two beautiful sons which has fine-tuned her negotiation skills. She is passionate about customer service and will settle issues effectively to make her the perfect person to take care of servicing and customer relations. Kaitlin has worked in the solar industry since 2009. That makes her a solar veteran. Kaitlin recently became a new mother, but we didn’t want to lose her, so asked her if she would work for us from home. She works with post install customer service, arranging Energex to change over your meter to a solar meter, setting up your online monitoring platform, and managing all the STC “rebate” submissions. Dane called MC Electrical in 2013 looking for an Adult apprenticeship. We invited him to prove his smarts by working in the office where he learned solar design. He’s since become a valued member of our team, helping out in the service department as well as resolving any IT related issues that we encounter with our systems. He will be a great tradie one day. Shane is one of our most experienced apprentices. There’s no one better when it comes to figuring out how to tackle the more challenging and complex jobs. He’s a valuable part of the MC team and we’re excited about the tradesman that he will soon be. Alan joined us in August 2016 on the recommendation from Dane. He began working as a labourer, but we soon realised this bloke is future tradesman material, so we offered him an adult electrical apprenticeship. Shane started with us in 2017 to finish off his apprenticeship. Before that he worked in the solar industry for 2.5 years. Shane is a great addition to our team and we are very happy to have him on board. Ollie started with us as a labourer in 2018. We were so impressed with Ollie’s attitude that we’ve offered him an adult apprenticeship. Brady started out pursuing a career in Aircraft Engineering before realizing his calling as an Electrician. He is passionate about renewable energy and offering him an apprenticeship was an easy decision to make. Brady is the type of bloke who gets the job done. 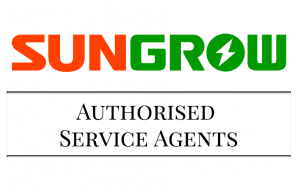 Elliot was highly recommended by one of our Electricians, who had worked with him previously. Not only were we impressed that Elliot is a qualified helicopter pilot, but also with his efforts installing solar. He is super-efficient and does a great job. Jason joined our team earlier this year and is looking to gain an apprenticeship in the solar industry. Finn is keen to get ahead within the solar industry and approached us directly for a job. He has plenty experience working in customer service plus experience working on construction sites. In his spare time he builds mountains bikes from scratch. Welcome to the team, Finn. & office facilities. He is doing a great job and has exceeded our expectations.